We bring the enticing world of Latin flavors right to your table and a smart selection of beer and wine from Spain, Mexico and South American. Our full bar features authentic mojitos and creative martinis. 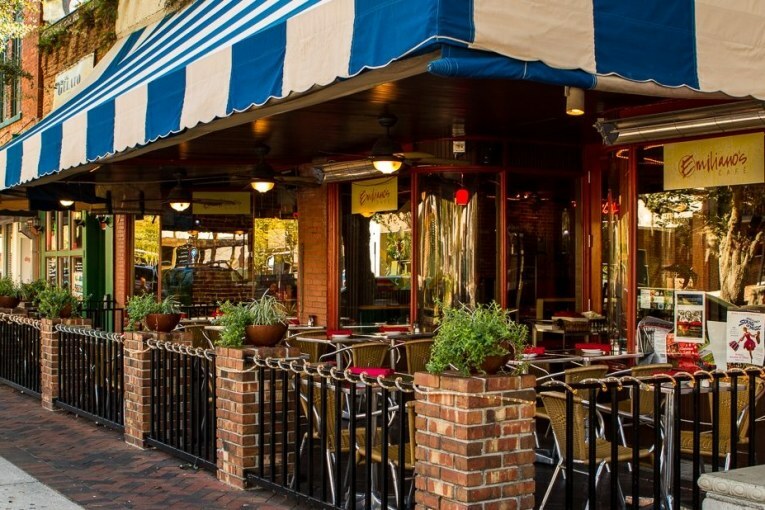 At Emiliano's we bring the enticing world of Latin flavors right to your table. That's not all! We also offer a smart selection of beer and wine from the Latin Caribbean, Spain, and South America to perfectly complement your meal, and a full bar featuring our innovative fresh mojitos and creative martinis. Whether its lunch, brunch or dinner, we promise to make your visit memorable.